John Calvin Coolidge, Jr., 1872–1933. 30th President of the United States, 1923–1929. 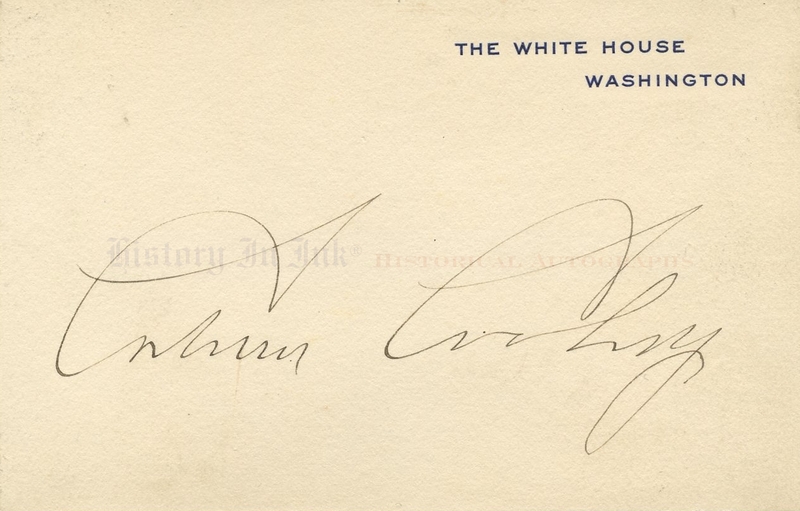 The White House card signed Calvin Coolidge. This is a very nice The White House card. Coolidge has signed it with a very large 3½" fountain pen signature that is 1½" high. The card is perfect for framing for display. As Governor of Massachusetts, Coolidge gained national attention in 1919 when he ordered the Massachusetts National Guard to forcefully end the Boston police strike. Although he sought but lost the 1920 Republican presidential nomination to Ohio Senator Warren G. Harding, convention delegates stampeded and nominated him for vice president. Harding and Coolidge easily defeated their Democratic opponents, Ohio Governor James M. Cox and Assistant Secretary of the Navy Franklin D. Roosevelt. Coolidge succeeded to the presidency upon Harding's death. He was visiting his family home in Vermont, which had no electricity or telephone, when he learned that Harding had died. His father, a notary public, administered the oath of office by kerosene lamp at 2:47 a.m. on August 3, 1923. Coolidge, who restored respect to the presidency after the scandals of the Harding Administration, took a narrow view of the scope of federal power. Although as Governor of Massachusetts he had supported wage and hour legislation, opposed child labor, favored factory safety measures, and imposed economic controls during World War I, he opposed federal government intervention. Because such matters were generally considered to be the responsibilities of state and local governments at the time, Coolidge refused to use federal economic power to check the growing economic boom or to remedy depressed conditions in agriculture and other industries. In his first message to Congress, he called for tax cuts, economy, and limited aid to farmers and for isolation in foreign policy. In subsequent years he twice vetoed farm relief bills and killed a plan to produce cheap federal electric power on the Tennessee River. The Coolidge years were a time of great national prosperity—so much so that the period became known as the “Roaring Twenties." “The business of America,” Coolidge said, ”is business." In 1924, riding the growing wave of economic boom, Coolidge was elected President in his own right with more than 54% of the popular vote. In his inaugural address, he asserted that the country had achieved “a state of contentment seldom before seen,” and he pledged to maintain the status quo. Toward the end of his term, Coolidge announced cryptically: “I do not choose to run for president in 1928." Historians have speculated whether Coolidge really wanted another term as President but simply would not say so or whether he wanted to retire. Regardless, the Republicans nominated Herbert Hoover, who won easily but within months suffered the blow of the Great Depression when the economic boom ended with the stock market crash in 1929. This card is nice.  It is lightly but uniformly toned, and there is a tad bit of soiling that is less apparent on the 2¾" x 4¼" card than on the enlarged scan below. There are a couple of scuff marks and an old dealer pencil price notation on the back. Overall the piece is in fine to very fine condition. Unframed. Please click here for information about custom framing this piece.